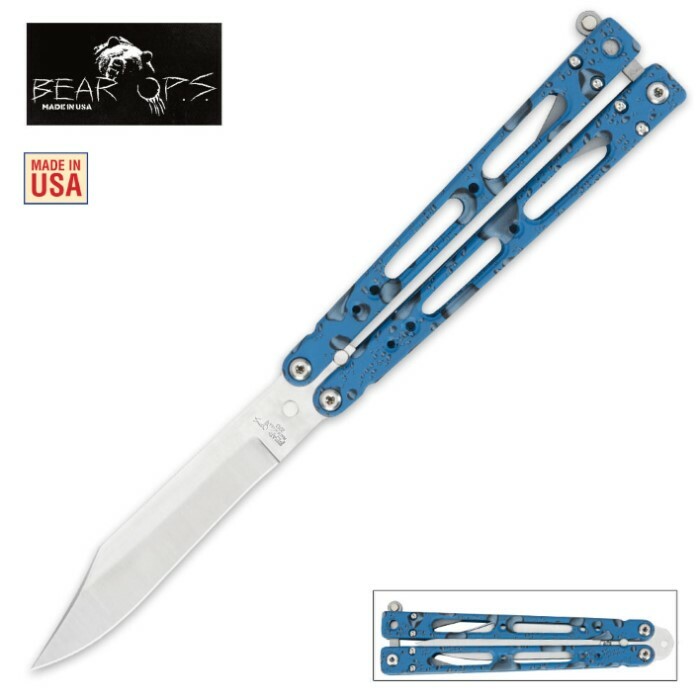 Bear Ops Bear Song IV 400 Butterfly Knife Blue | BUDK.com - Knives & Swords At The Lowest Prices! This Bear Ops Bear Song IV 400 butterfly knife is a great example of pure American craftsmanship. The premium 14C28N stainless steel blade is razor sharp and deploys swiftly riding on the bronze phosphorous washers. The T-6 aircraft aluminum handles have been coated in a blue rain drop pattern. Get yours now before they're all gone.